Robert Juliat celebrates its centenary in 2019 marking 100 years since it first began creating the highest quality lighting products with superb optical and ergonomic qualities. The company will take its place in the Lightpower Village in the new purpose-built Hall 12.0 on Booth C62, where it will present its range of recently released LED profile fixtures, the Charles 960SX series. This range of powerful 600W LED profiles is available in 3 variable zoom ranges (29°/50°, 15°/40° and 8°/16°) for short to long throw applications. Charles exhibits a high optical efficiency, a 6000K colour temperature and a CRI in excess of 90. 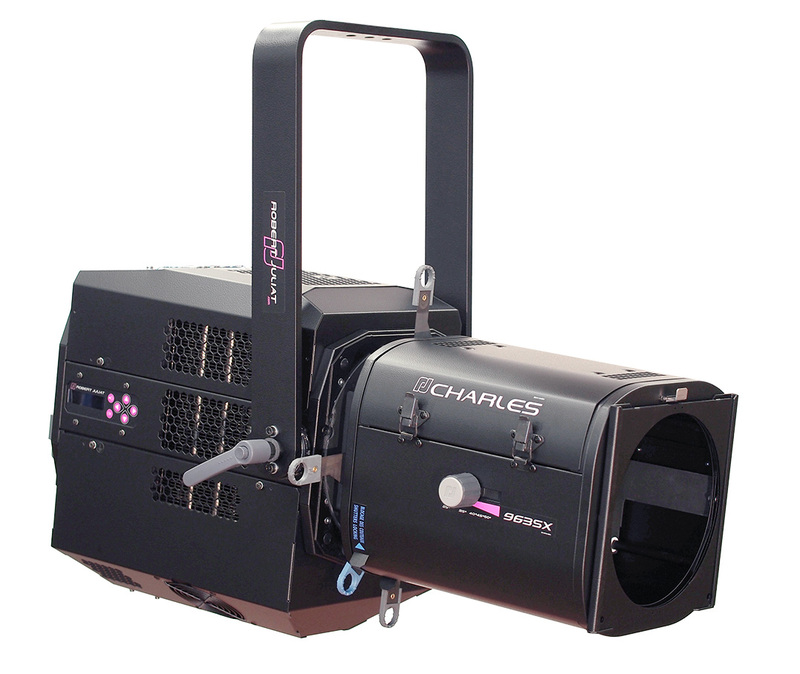 Charles delivers the maximum high output, a flat, even beam and excellent image projection at all beam angles. Smooth electronic dimming and an in-built power supply gives silent operation that is perfect for front of house positions. Further LED offerings, in followspot form, will be in the shape of the 600W Alice and Oz short and long throw followspots, both of which possess all the RJ quality and functionality and pack a punch equal to that of conventional 1200W discharge models. Robert Juliat’s award-winning Dalis range will be represented by Dalis Access 863 and Dalis 864 Footlight. Dalis Access 863 is a 150W LED cyclight fixture designed to give small-sized venues or those with smaller budgets the first access to Dalis technology. Sharing all the technology of the original Dalis 860 Cyclorama fixture, Dalis Access 863 has four colours and 24 of the patented Dalis asymmetrical micro-reflectors, but retains all the functionality and quality of the original. Equipped with an advanced fanless cooling system, Dalis Access is equally perfect for cyclorama or footlight applications. Dalis 864 Footlight is a new, 150W colour version of the original Dalis 862 tuneable white footlight. Exhibiting 48 micro-reflectors and the new 4-colour mixing system, Dalis 864 footlight has been designed for the creation of colourful upstage or downstage footlight applications. 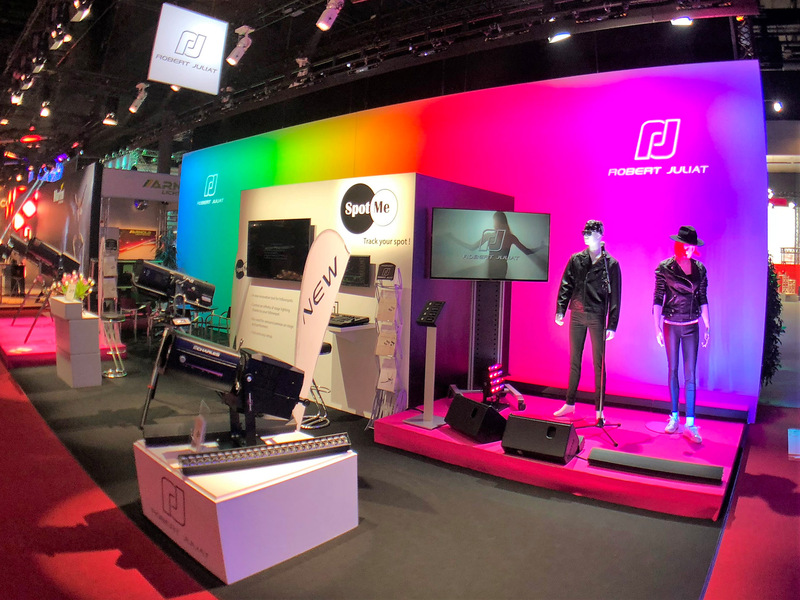 Robert Juliat’s award-winning SpotMe, its bespoke new solution for followspot technology and intelligent lighting, will also be demonstrated on the booth. The SpotMe system consists of sensors mounted on tripod and followspot, and a server. Taking its lead simply and efficiently from the movements of a Robert Juliat followspot, the SpotMe system is able to produce tracking information in real-time, with no emitters or cameras on stage or performers. SpotMe generates high-quality positional data to communicate with any console or devices using PosiStageNet protocol. The console can then coordinate the identical movements of other fixtures in the rig, even conventional fixtures with no feed back capability. SpotMe creates a three-dimensional universe, tailor-made for each show, based on the configuration of three coordinate axes (x, y, z). This geometric setting determines an environment in which the followspot and its operator will work in conjunction with the console and the lighting kit, communicating through a common language and using an open protocol. SpotMe is the perfect device to be added to existing followspots. It is a genuine solution that combines high-technology and human control over the lighting design and operation at the same time.